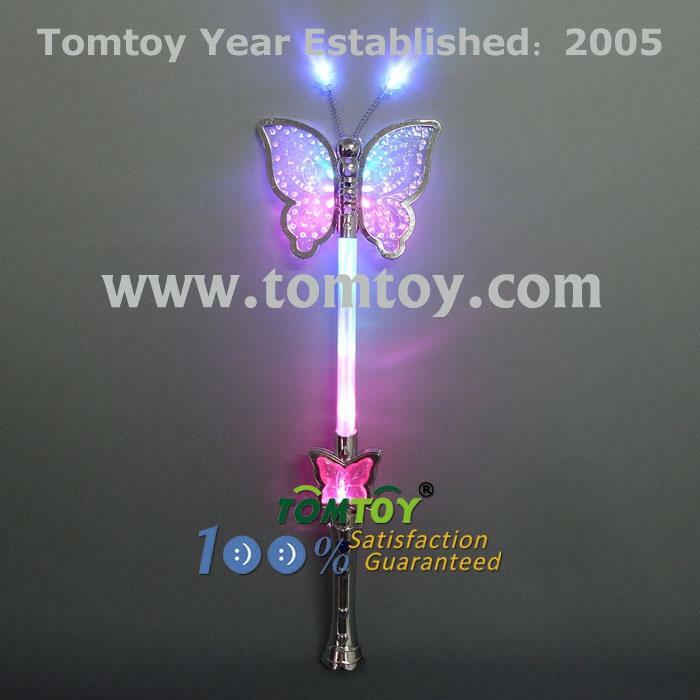 1.These blinking LED butterfly wands are a great toy and the perfect finishing touch for any fairytale Princess! 2.Simply push a button to ignite a dynamic display of flickering multi-color light, with 3 alternating patterns. 3.Batteries are included, these are great on their own and even better with the other toys and pricess accessories in our store! 4.Dimensions: Height: 15.75 in. Width: 4.13 in.